Top-seeded Republic will have a chance to win a team district championship on its home courts Wednesday. 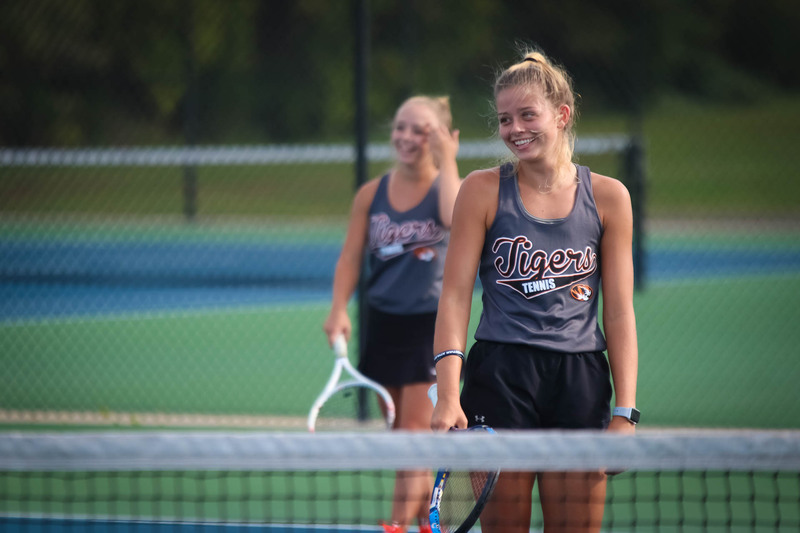 The Lady Tigers defeated Willard 5-0 in the district semifinals to advance to the title match against Joplin. The Eagles beat Carthage 5-4. Republic cruised past Willard in three easy doubles matches to start the night. All three Republic teams won 8-2. In singles play, Kaitlyn Snyder and Jordyn Gianopulos both won in straight sets, clinching the victory and ending the remaining matches in progress. Republic improves to 11-1. Joplin is 7-4 entering tomorrow’s district championship match tomorrow at 4 pm.